Pulliam Enterprises, Inc. has been designing and manufacturing extraordinary hitches for well over 40 years. We are recognized as the leading innovator in the design and manufacture of fifth wheel hitches, short-bed truck hitches and travel trailer hitches. PullRite strives to go beyond expectations in developing new technology, crafting quality products with care and providing superior customer service. We’ve combined skilled engineering and ingenuity to make the safest, strongest hitch you can find. 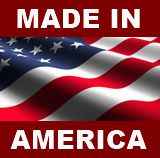 We also maintain the highest levels of quality and craftsmanship in our US facilities. When you purchase a PullRite hitch, you can be assured that you will have a well-engineered, reliable product, as well as the peace of mind provided by the family of PullRite dealers.